“I just gave her enough room to get around and then hope that she was behind me because you never know,” Thompson said. “But if it was anybody else,” Serwa, interjects. “If it was anybody else I would have gone,” Thompson adds. “Tight,” Serwa said, finishing her teammate’s thought. Following a national ski team gathering in Toronto this week, the pair were recounting their 1-2 finish at the Sochi Olympic Games. The story goes that during the final run, Thompson, who won gold, heard Serwa, who took silver, yell “inside, inside” during the pivotal first turn, prompting her to leave her teammate the necessary space. Clearly, it paid off. “It’s a race when it comes down to it, but obviously we want each other to do well,” Thompson said. That, however, was nearly two years ago and Thompson and Serwa haven’t raced together since. Injuries — a blown knee for Thompson and a multitude of ailments for Serwa — saw them both miss significant time last season. But with both skiers healthy and the first World Cup event of the season approaching in little more than a month, they’ll finally be back on the snow competing together. Ski cross is an unpredictable sport. A wild sprint on snow with four competitors jostling for position amid tight turns and towering jumps. It’s the chaotic, exciting, think-on-the-fly nature that drew these former alpine skiers to the sport. 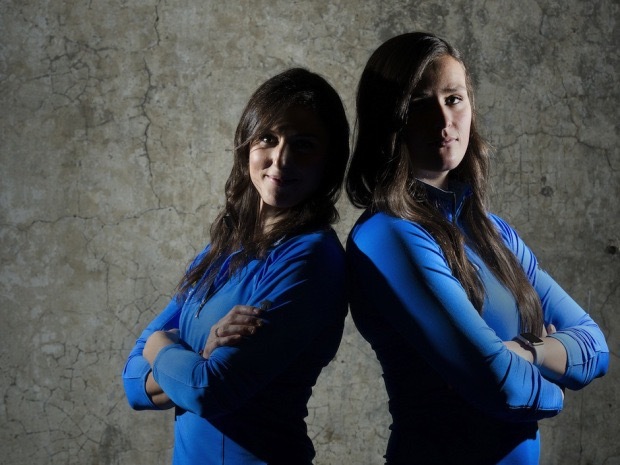 Both Serwa and Thompson have been threats on the women’s ski cross scene for the last several years. Combined, they’ve won 17 World Cup events and while Serwa, the veteran at 26 years old, won a world and X-Games championship in 2011, 23-year-old Thompson, who joined the team out of high school in 2010, has won the year-end Crystal Globe as the overall World Cup champion twice, in 2012 and 2014. Recently, though, injuries have plagued Serwa’s career, perhaps none worse than tearing her anterior cruciate ligament in her left knee twice in a 14-month span. It took a frantic push to recover in time for the 2014 Olympics after the second tear, and as a result, Serwa decided to take the following year off to give her body time to heal. In the meantime, she moved back in with her parents in Kelowna, B.C. — “I think they had a harder time with it than I did,” she joked — and enrolled at the University of British Columbia, Okanagan to study human kinetics in the hopes of one day pursuing a career in physiotherapy. “It’d be cool to go and be a physio for a team. Maybe a summer sport team to mix it up a bit,” Serwa said. Thompson, originally from Whistler, B.C., also was on a break last year, though it was less planned. Following her Olympic win, Thompson seemed poised to continue where she left off, winning three straight World Cup events to begin the 2014-15 campaign. Then it all came crashing down, literally. During the world championships in Austria in January, Thompson’s ski clipped a competitor’s and she collided with the fence. She tore her meniscus — a piece of cartilage in the knee — off her left tibia, which required surgery, ending her season. After a torrid start to her career, it was her first major setback. After plenty of time spent in the gym to stay fit and a national team training camp in Switzerland in October, both are eager to get the cobwebs out and compete on the world stage. For Thompson, this season is about finding her winning form again and claiming a title she’s yet to hold — X-Games champion. “I haven’t won everything so I’ve still got those things that I really would like to accomplish,” she said. For Serwa, this year is about managing expectations and preparing for the world championships next year, and the 2018 Olympics. With each entering the season after a long layoff, both will surely lean on each other. When asked if she takes on a leadership role as the team veteran, Serwa admits she hardly feels like one. Thompson agrees older teammates like Serwa guided her along and she’s happy to reciprocate. “Return the favour,” Serwa said, providing the words her teammate was searching for. “We’re always supporting each other when it comes down to it,” Thompson said. “At the end of the day, that’s what makes us a strong team — the support between each other,” added Serwa.